What is a secure smart home? Home Automation is taking giant steps into modern society, this is an in-depth look of one of the most fascinating aspects of Smart Home security. Smart home technology has been around for a few years now, and even though it is widely known for some sectors of the population, it is not that popular for others. Of course, everyone knows or infers what it means, but in reality, those who are not familiarised with this technology don’t know what it entitles. Having a smart home means to have a perfect ally - or several little allies - to your lifestyle. Smart home technology has gone so far that it reaches every aspect of a house, from entertainment, security, even gardening. It enhances every corner of your house, by anticipating your needs and preventing you from dangers outside while giving you total access to unexplored levels of entertainment. This technology takes your conception of day-to-day living and takes it to a whole new level. Security is very important and involves thinking and planning. Security represents your defence against any possible wrong that may come to your house. We´re not just talking about home security against burglars, there are also other potential dangers, like smoke and gas leaks, so in overall, this is what protects us from any potential misshapen. Now, the benefits people get from smart home technology applied to security are immense as home automation literally covers every possible aspect that would make a house vulnerable to burglars or leaks. That being said, smart home technology offers a unique feature: integration. This allows a smart home to create one network that all devices use for a single purpose, so your lighting smart system works with security and entertainment sections of your house. Lighting and heating work together to create a perfect ambience. This integration empowers security and builds a solid network so your house runs smoothly. Lighting: Smart Lighting can be integrated with smart home security when the lights team up with sensors or smart locks, so it can be both deterrent for burglars and a nice welcome when you get home. Sensors: These are also great allies for smart home security, as they can detect motion and/or leaks and since everything runs through the internet you can have all the footage right on your mobile. Smart Locks: One of many solutions with multiple integration capabilities. Smart Locks truly enhance smart home security as they can be operated with either your mobile/hub/security code. Child Protection: One of the most important aspects of smart home security. Many companies specialise on reliable full HD cameras that can be connected to your mobile to keep an eye on the kids at all times. Smart Locks are also helpful to keep our kids protected as they can be locked/unlocked from afar. When people see the vast extent of solutions smart home security has, they believe that it means having to deal with many remotes and devices. In fact, smart home technology has advanced a lot recently. Right now we have smart home solutions in the shape of control systems that allow you to have control over all of your smart home aspects. 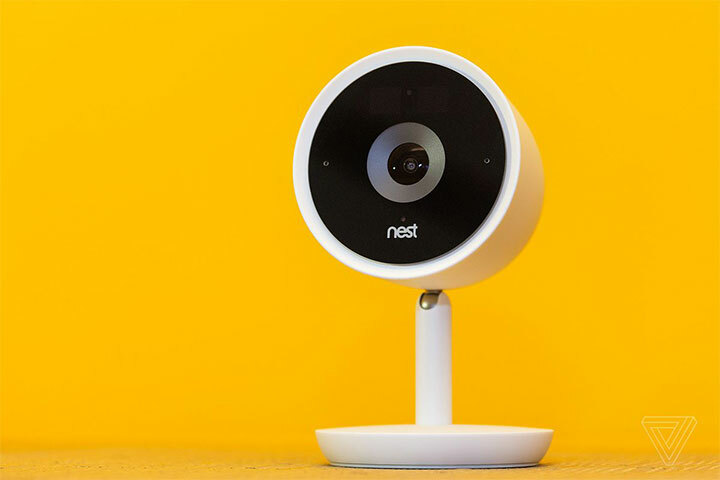 Remember that smart home security deals with much more than leaks and burglars. Security of the data on your devices is a must, and that is what you get with an automated control system that unifies all of your smart home aspects. Smart Home developers, Loxone have created one of the most complete control systems ever, combining almost every aspect of smart home technology with cutting-edge design. This really means to have control over the situation. Still not sure if Smart Home technology is for you? Smart Home technology always brings up questions about every aspect of the way a house works, these questions can never be answered with one blog. If you want to know how smart can your house be, or if you have any doubts about when or how to start, click here to receive the best bespoke design plan that best suits your lifestyle.